Private Herbert Daniel Hines was entitled to three medals; the 1915 Star, the British Victory Medal and the British War Medal. 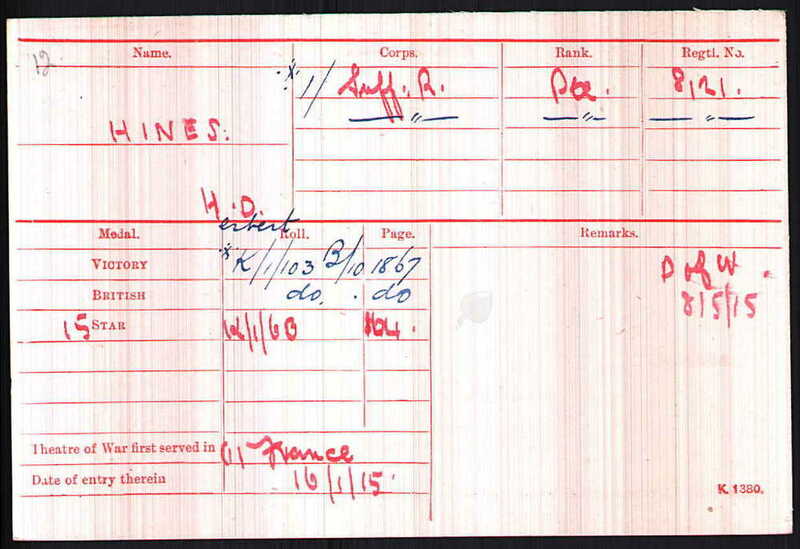 Herbert Daniel Hines was born in Benton Street, Hadleigh in 1888. 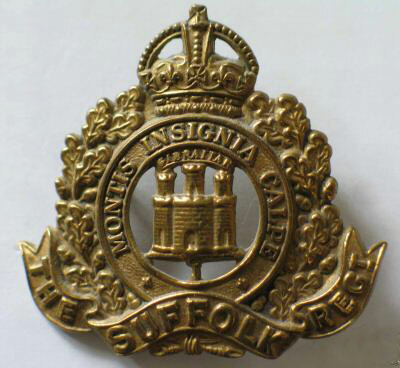 In 1910 he enlisted in the Suffolk Regiment and by the time of the 1911 census he was with the 2nd Suffolks based at Aldershot. We are not sure exactly how he came to join the 1st Battalion, but what we do know is that he arrived in France with them on 16 January 1915. 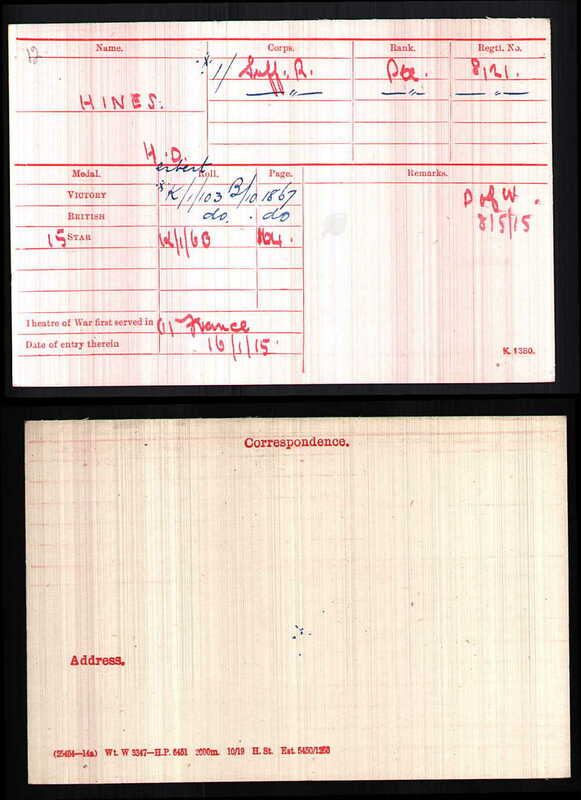 There is a gap in the Battalion's war diary from 10th April to 8 May 1915 and so we do not know exactly what went on during the period leading up to the Battle of Frezenberg Ridge. 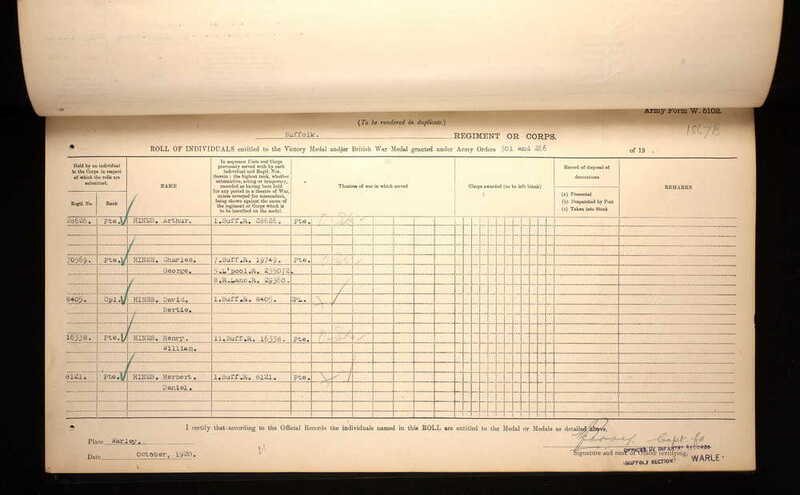 However, the page for the 9th of May talks about the replacements who arrived that afternoon and the 10th of May entry refers to a report made to the Brigade Officer, detailing the the wounded and missing. The list of those missing included the Commanding Officer, Lt Col Wallace. The 2nd Battle of Ypres continued into May 1915. The 8th of May saw the opening of the Battle of Frezenberg Ridge. The 28th Division, which included the 1st Suffolks were in the front line around the village of Frezenberg. 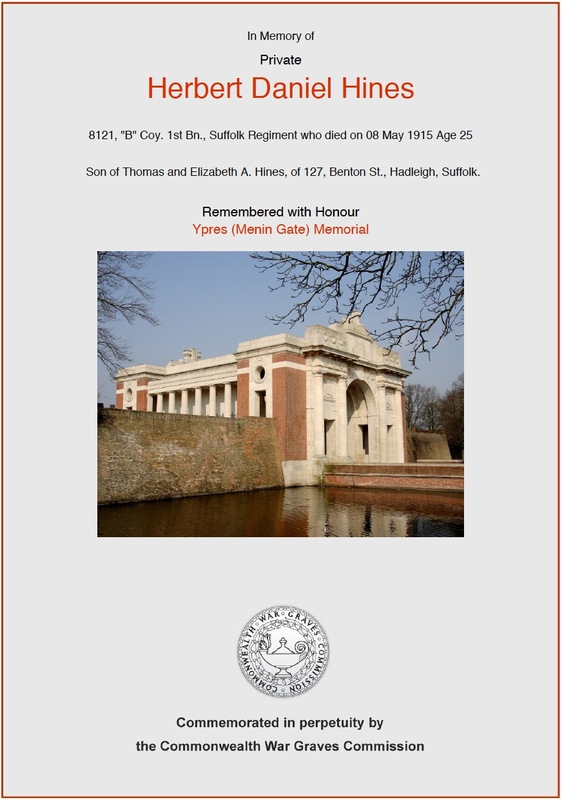 Despite repelling the early attacks, the Suffolks became completely surrounded and over 400 men were lost, including Private Herbert Daniel Hines from Hadleigh. Herbert's body was never found, or if it was, it was never identified and so he is commemorated on the Menin Gate in Ypres. We hope that this page has been able to tell the story of Herbert Hines. If you know of any information which might help to add to the story then please get in touch.